Here she goes with that painter’s tape again. Well, you’re right! Painter’s tape is my ultimate supply and can pretty much liven up any old game that used to be done with pen and paper. It is hard to pick favorites, but I am pretty sure it is right up there with the counting bears. 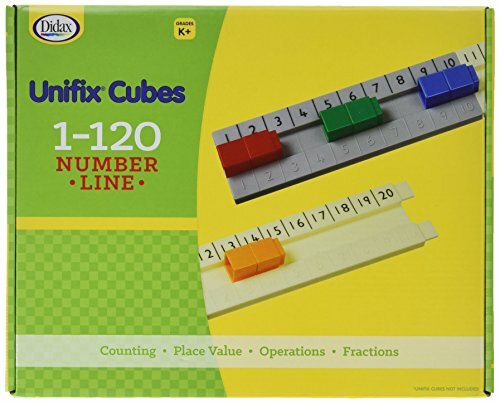 You can find these and many more learning tools on our supply list here. This number line game makes a fun Breakfast Invitation to help you drink your coffee and pop the bagels in the toaster in peace! Set it up in 5 minutes the night before and watch it unfold. RELATED: Get on the floor and move with Graph-a-Sock. 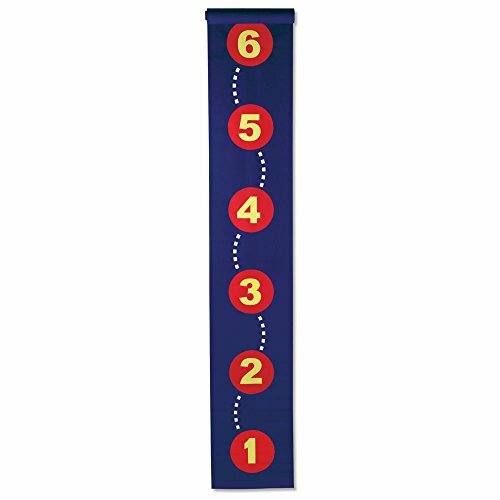 A number line helps your child visualize number sequences to help with counting. 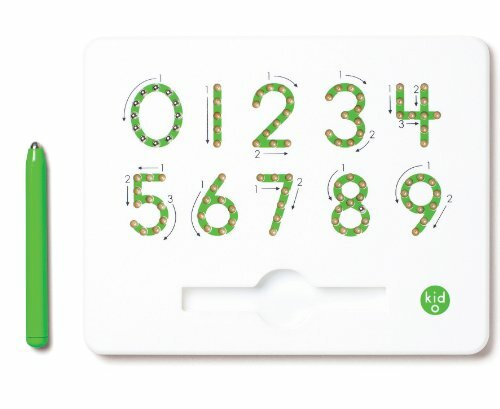 This means that rather than writing 1,2,3,4,5,6… on paper, they are now building each number and understanding that each number adds one more object. In this case, the object is a shoe. You could do this activity with pom poms, board books, blocks, legos, and much more. Take a look around your house and see what you have. The concept of “one more” is a big one! It helps children understand quantity. So where we are not teaching Kindergarten standards to our preschoolers, we can certainly introduce some key terms and concepts to help them get there when they are ready. 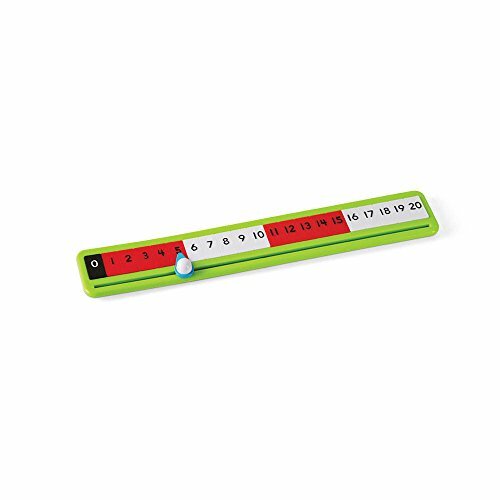 Try introducing the number line by showing them what it looks like, and using it in a sentence. This is a number line. See how there is a line for each number as we count up? 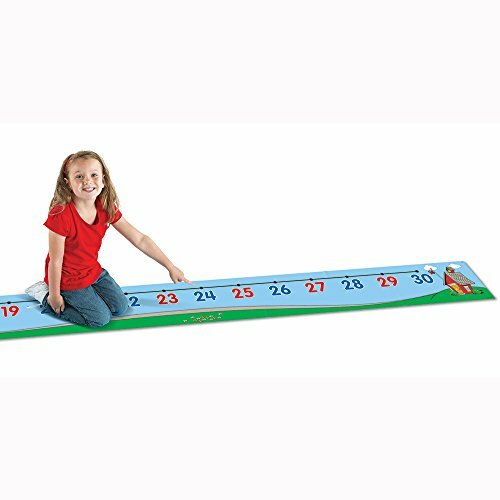 RELATED: Try this scaled down number line game here! When my boys (3.5 and 5) saw the number line, they wanted to jump and walk on it. And so I let them! Remember, watching your children learn and play is incredible valuable for you to understand how their brain works. Seeing my boys hop the number line reminded me that they too learn by moving. They are both kinesthetic learners. And when they were finished, I introduced the shoes. Because if I introduced it any sooner, I may have lost their interest. And remember, what’s the rush? I am here trying to cook breakfast and wake up. They have plenty of time to explore before they hit up the main objective. RELATED: Read more about categories of play here. 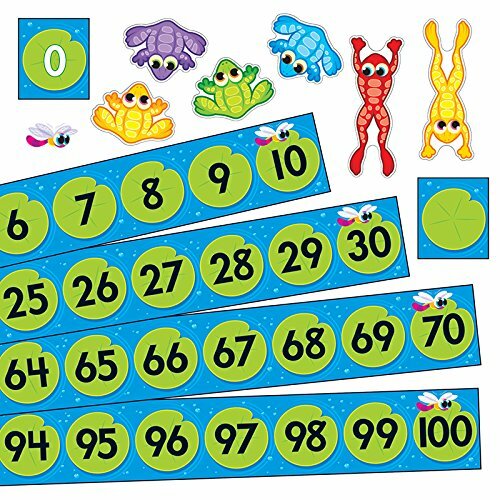 So let’s get this number line set up! Next step is to call your child over, and share with them that this is a number line. Count together and touch each number as you count. Can you build this? How many shoes should we put for each number? What does your child do? When they are finished can they find the number that has the most shoes? How about the least amount of shoes? Are there any that have the same amounts? And when you are finished with this game, try these fun math games for quantity! New activities every Monday and Wednesday at 7am EST.